(Bloomberg) -- Romania’s government, which has clashed with the European Union in a dispute over the rule of law, is planning to slash funding for courts after opening a graft probe into the former top anti-corruption prosecutor. The Social Democratic-led administration has followed its regional counterparts in Hungary and Poland in pursuing an overhaul of the legal system despite criticism from opposition figures and the EU that it is eroding democratic standards. During the drive, it has enacted changes to water down a criminal code that has led to convictions of scores of officials in the ruling party and barred its leader, Liviu Dragnea, from becoming prime minister. Late on Wednesday, a newly formed office established to investigate magistrates of the court made anti-graft prosecutor Laura Codruta Kovesi its first high-powered target, opening a probe against her into allegations of abuse of office, bribery and making false statements. And on Friday, the government will discuss funding cuts of as much as 15 percent in the 2019 budget for prosecutors who tackle corruption and organized crime and intelligence services. Those services said they are being targeted as part of a crackdown against institutions that helped send waves of corrupt politicians to prison, with Chief Prosecutor Augustin Lazar warning that his office won’t be able to meet its goals. Kovesi, who was the driving force behind the anti-graft campaign that has jailed many ruling party officials, denied wrongdoing and said the case was a retaliation to her front-running candidacy for the EU’s top prosecutor job and opening a lawsuit against the government at the European Court of Human Rights. 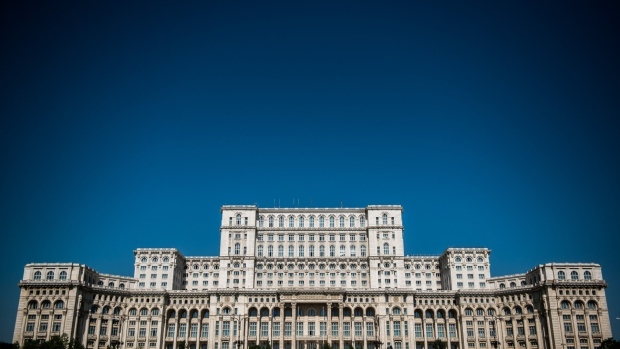 Dragnea, the country’s de facto leader, personally submitted the proposal to cut off funding to the country’s intelligence services, which he has denounced as “the deep state,” echoing conspiracy theories embraced by nationalist leaders around the world. After floating punitive measures against members Poland and Hungary, the European Union slammed Romania in November, saying the country had reversed progress in tackling high-level corruption. "All we care about is staying alive and free to be able to keep our coalition together and see this overhaul through," Dragnea said late December in a TV interview. "I have high hopes that we’ll succeed in dismantling, destroying and tearing into tiny pieces this underground system, this deep state."